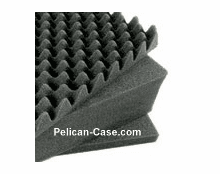 Pelican™ 1495CC2 Laptop Computer Protector™ Case - Black - IN STOCK! 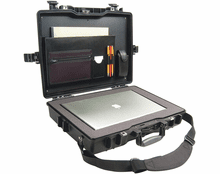 The Pelican 1495CC2 Protector Case fits up to 17" laptops. 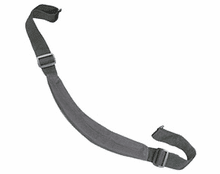 Shoulder strap and combination lock included. 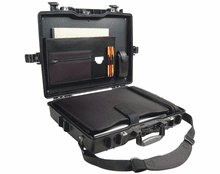 This case is Black with Lid Organizer/Briefcase feature and Pick 'N' Pluck™ foam and the 1495 Case has IP67 certification. With the number wheels on "0 0 0", slide the button to the right. Lock should release and case should now be unlocked and able to be opened. Step 1: With the lock released, slide the button to the left and hold it to the left. Step 2: Set the number wheels to the desired combination. Do not forget the combination that you've set. Step 3: Now release button from step one. 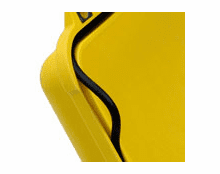 Step 4: Push lock in and slide button to right to check newly set combination.